So you’ve upgraded to Premium. Now what? This guide will help you discover all of the most powerful features you now have access to, and how to put them to work. Never worry about missing an important deadline again. Todoist can send you reminders about upcoming tasks via email or push notification. There are two types of reminders in Todoist: automatic and custom. You can also manually set reminders for any time you want. When editing a task that has a due date and time, just click on the clock icon. Then select whether you want to set a reminder for a specific date and time or for a certain amount of time before your task is due, say two days before for example. You can even create location-based reminders that will trigger when you enter or leave a specific place with Todoist on your mobile device. We often need specific information to complete a task - a certain document, a set of instructions, a link back to research, feedback from a coworker. With Premium, you can keep it all organized in one place. 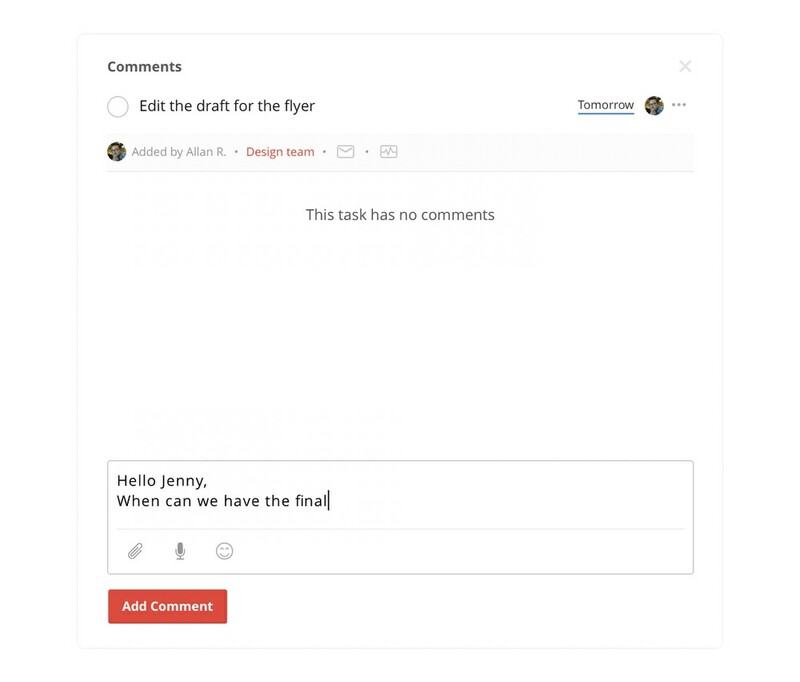 Comments let you upload files, exchange messages with coworkers, and add additional notes. There are two types of comments in Todoist: project comments and task comments. Project comments are attached to the Todoist project itself. This is where you can provide high-level information such as a project overview, general instructions, project updates, files, and anything else needed to get the project done. Task comments attach to a specific task. These are great for keeping track of all the information you need to complete that task – a file, a link to an email, an image, or a quick note to a coworker. Everything stays organized right at your fingertips. To add comments and attach files to your tasks, hover over the task on the web – or tap a task on Todoist mobile – and click or tap on the speech bubble icon that appears. Add your comment or click on the paperclip icon to upload a file. You can also forward relevant emails as comments in a task or project. Simply click on the Email Comments icon in the comments view, then forward the email to the given address. And anything else that best fits the way you work. Labels allow you to answer all your emails at once, or quickly find a task to fill an extra 15 minutes that opened up in your day. Taking the time to create a label system that works for you helps you use your time more efficiently. To set a label type the @ symbol anywhere in the task field, followed by the label name with no spaces. For example, a shopping label would be @shopping. In the labels tab in the left-side menu you can easily manage your labels. Here you can view, add, delete, edit labels, and change their color. Or any combination of those. For example, you can create a new filter for all tasks assigned to you that are due in the next 7 days. Just click on the Filters tab on the left-hand side panel of your Todoist to pull up a list of all your filters. To create a new filter, click on Add Filter inside the Filters tab, set a color to make it stand out, and give it a name. Then type in your task query. Here’s a list of all the filter queries you can create. You can also quickly type any query into the Quick Find box at the top of your Todoist to find the right task, project, comment, or label in seconds. Use the keyboard shortcut F to start a search even faster. If it’s a search you find yourself running regularly, save it as a filter. 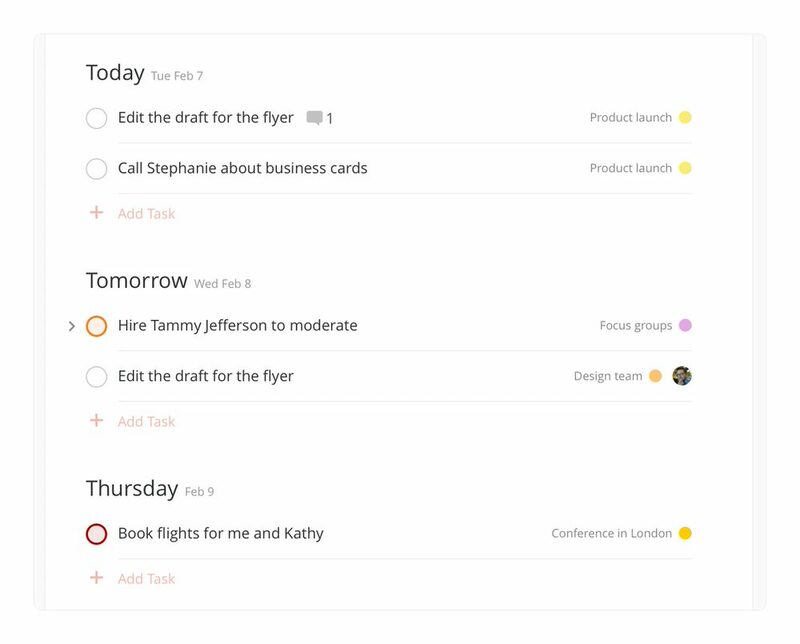 You can set your starting view in Todoist to any filter you want, for example, all tasks in your work projects that are due today. Just click on the gear icon, choose Todoist settings, then General and select the query you want from the Start Page drop-down menu. With Todoist Premium, you can quickly turn your emails into tasks by forwarding them to any project. Add due dates to respond to each one on your own schedule and never forget to follow up. To add an email as a task, click on the tools icon in the upper right-hand corner of the project you want to forward your email to. Then click on Email tasks to this project to get the forwarding address for that project. Add the address as a contact in your email client and start forwarding emails to it. The email’s subject will become the task name, and the body of the email will be added as a task comment. With Premium you can easily sync your Todoist tasks with most calendars - including Google Calendar, iCalendar, most versions of Outlook, and any other calendars that allow you to subscribe by URL. You can choose to sync all your Todoist tasks to your calendar, or just tasks in specific projects. You can even share a project feed with others. Handy when you need to share a project plan with a client, or a product roadmap or editorial calendar with your team. Spare yourself the time it takes to create the same task over and over again. You can easily duplicate one task or a series of tasks within any project, saving you the time and effort of manually creating each new one. Want to duplicate an entire project? No problem. With Project Templates, you can turn any project into a checklist that you can easily recreate later. It’s a convenient way to manage recurring projects or share your favorite projects with friends, family, and coworkers. Who said getting organized had to be boring? Choose from ten beautiful Premium themes to fit any mood and personality. To change your theme, click the gear icon in the top right and select Settings. Open the Themes tab and then select the theme you’d like to use. Looking for a review of all the basic Todoist features? Check out our Getting Started Guide.